A fantastic start to the world of ball track construction, as little designers can decide for themselves when the ball starts rolling. A little pivot at the high end of the ramp keeps the ball in place. 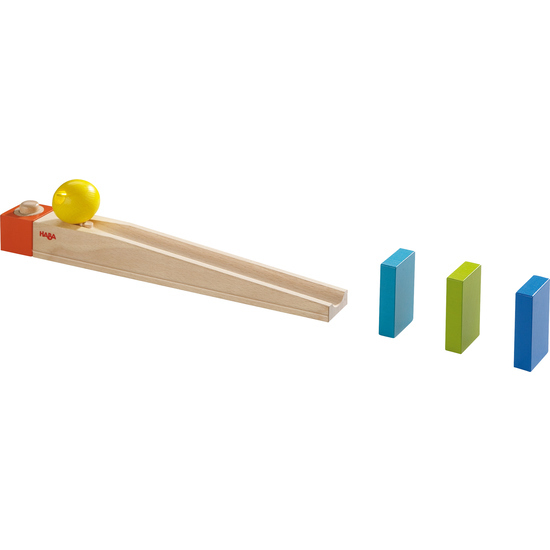 It's only when the little constructors press the squeaking start button that the ball sets off. Guaranteed sheer hours of ball track fun! As the constructors grow older the first ball track can easily be enlarged with any of the HABA Ball Track sets.